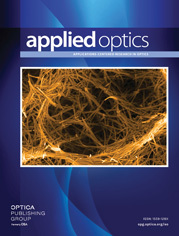 The authors are with the Photonic Information Processing Systems Laboratory, School of Optics, Center for Research and Education in Optics and Lasers, University of Central Florida, 4000 Central Florida Boulevard, Orlando, Florida 32816-2700. A fiber-optic collimator that emits a Gaussian beam with its beam waist at a certain distance after the exit face of the lens is labeled a self-imaging collimator. For such a collimator, the waist of the emitted Gaussian beam and its location are partly dependent on the properties of the gradient-index (GRIN) lens. Parameters for the self-imaging collimator are formulated in terms of the parameters of a GRIN lens (e.g., pitch, core refractive index, gradient index, length) and the optical wavelength. Next, by use of the Gaussian beam approximation, a general expression for the coupling power loss between two self-imaging-type single-mode fiber (SMF) collimators is, for the first time to our knowledge, derived as a function of three types of misalignment, namely, separation, lateral offset, and angular tilt misalignment. A coupling experiment between two self-imaging collimators with changing separation distance is successfully performed and matches the proposed self-imaging mechanism coupling loss theory. In addition, using a prism, lateral offset, as well as angular tilt, misalignments are experimentally simulated for a two self-imaging collimator coupling condition by a single collimator reflective test geometry. Experimental results agree well with the proposed loss formulas for self-imaging GRIN lenses. Hence, for the first time to our knowledge, the mathematical foundations are laid for employing self-imaging-type fiber collimators in SMF-based free-space systems allowing optimal design for ultra-low-loss coupling.